The new rules will require boaters to maintain a 100-metre buffer zone, although that distance can vary. Orcas, for example, require a 200-metre buffer zone. Under the Fisheries Act, those who break the rules could face penalties of $100,000 to $500,000. Repeat offences could result in an even higher fine amount or even imprisonment, according to DFO. In a briefing with reporters Wednesday afternoon, Department of Fisheries and Oceans officials said there will be new resources in place to enforce the regulations, including both water patrols and air surveillance patrols. Officials said they will continue to do outreach and education, but will be now in a position to better enforce the regulations that have replaced the voluntary guidelines previously in place. And they added that context will matter in how the rules are enforced. For example, if someone is whale watching from an appropriate distance and the whale takes a turn and starts swimming toward them, the boat should "safely take evasive manoeuvres" to maintain the proper distance. DFO says it consulted with ecotourism operators in developing the new rules, and they were largely supportive. The new regulations are part of several federal efforts to protect marine mammals, particularly the right whale. 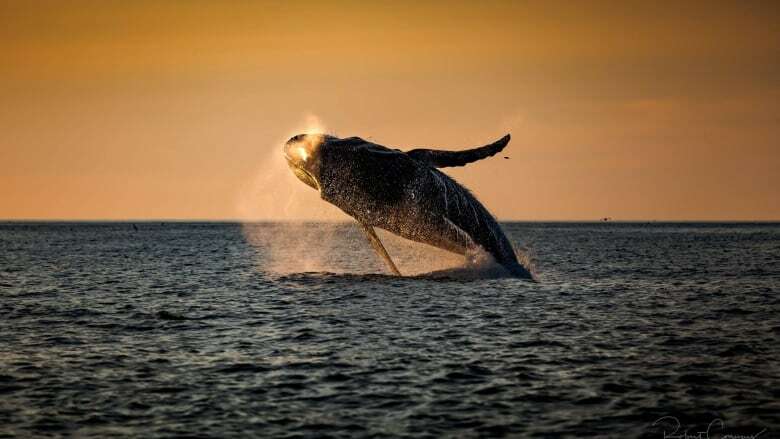 In 2012, the federal government proposed a 100-metre buffer zone between whales and boats, and last summer Fisheries and Oceans Canada asked ships to slow down after a dozen critically endangered right whales died in the Gulf of St. Lawrence. In February, the federal government said it would become mandatory in 2018 to report whale interactions. In June, $167.4 million in funding was announced for supporting the recovery of British Columbia orcas, North Atlantic right whales and St. Lawrence Estuary belugas. The new, tougher regulations will likely affect recreational boaters the most, according to Wayne Ledwell, who is the head of Whale Release and Strandings, a non-profit group based in Newfoundland. He said they often don't understand whale behaviour or best practices around marine mammals, and are more likely to do things that are a danger to the animals — and themselves. "People have been killed by those animals," Ledwell said. "They've got 16-foot tails, and that's what they use for protection and mobility." The owner of Ocean Quest Adventures said the new regulations aren't likely to have a big impact on his business. Rick Stanley said he and other operators have been in consultations with DFO officials for years, and while they knew changes were coming, they also have best practices in place already. For example, Ocean Quest practises "passive interaction" with marine mammals. Stanley said many times, when a whale gets too close to a tour boat, it's because the mammal has decided to do so. "They, in a lot of cases, come to us because they're curious, especially the humpbacks," he said. "The humpbacks are the gentle giants and the ballerinas of the sea, and they like to put on a display for the tour boat operations." Ocean Quest also offers whale scuba diving, which involves putting people in the water near the ocean mammals and letting the whales decide how close to get. They are special experiences, Stanley said, but ones that aren't forced. "We don't want to be harassing whales, and we don't want to see anybody else harassing them," he said. "I hope the folks out there that own boats and everything respect the whales as we do as professional operators."